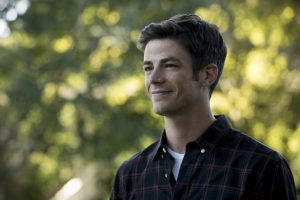 The third season of The Flash is only TWO WEEKS away, and this year Barry faces a challenge of his own creation: Flashpoint, a world created after Barry went back in time to stop the Reverse-Flash from killing his mother. To promote the October 4 premiere, we spoke with Executive Producers Todd and Aaron Helbing about the new season, and hopefully some scoops were to be had along the way. We tried to leave no [philosopher’s] stone unturned, though as this interview is long it is spread over multiple pages, so be sure to navigate to read more. Enjoy the interview! 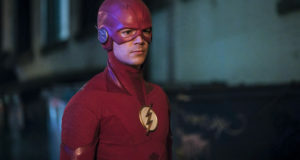 FLASHTVNEWS’ CRAIG BYRNE: What kind of effects might we see from Flashpoint early on? 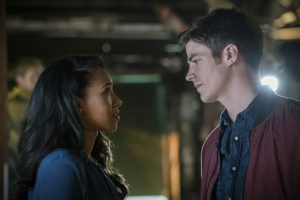 And he just pretty much had her at the end of Season 2. AH: Yes! 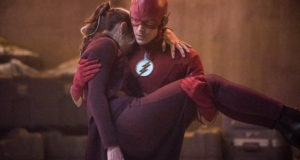 He had her, and I think that goes back to how deep of a loss his mother murdered and then compounded with his father being killed by Zoom… both of them happened in front of him. And so, there’s that hole that he’s been trying to fill and he just hasn’t been able to fill it. It’s not until he goes back and saves his mother that he feels like he can actually fill that hole.